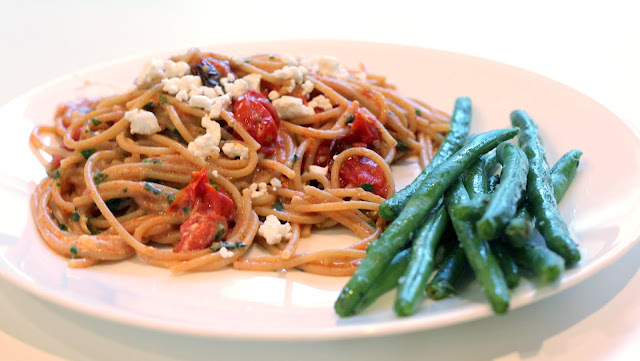 Quick-Roasted Cherry Tomato Sauce with Spaghetti. My younger daughter and I thought this was very good. and my husband did not care for it. on a warm summer evening! prefer I remake before I make this again. Served with roasted green beans.